Discussion in 'Graphics Cards' started by Kaapstad, Sep 29, 2018. Hmm actually his GPU looks overclocked, maybe on water? Not got anything special going on, just an overclocked MSI GTX 970 4G. I'll see if I can run another benchmark and see what it comes up with. I'm going to say it's the other 2's processors though. 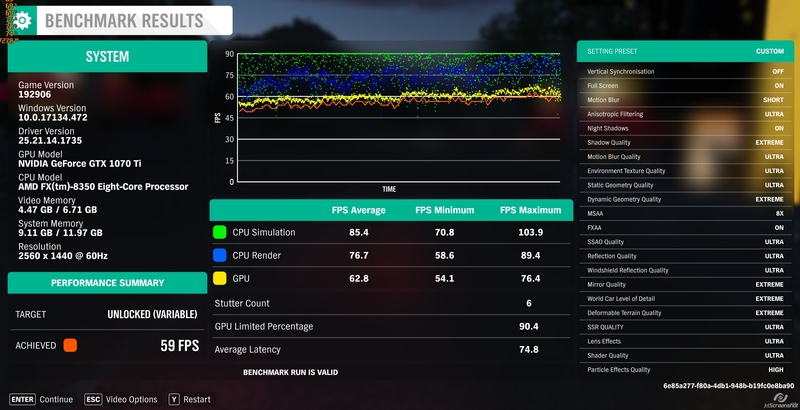 Although I suppose that doesn't explain why that 1060 is so much lower as well. 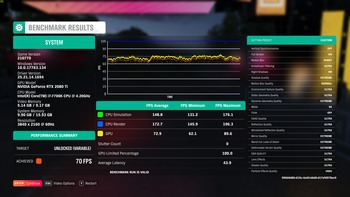 Also knocked my CPU back to stock settings, so 3.4ghz with the base turbo and power limits set, vs 4.2ghz all core turbo and it doesn't seem to make any difference. It has to just be the CPU's the other two are using, if you look at the CPU Render results, mine are a decent amount higher. Just realised what is going on. 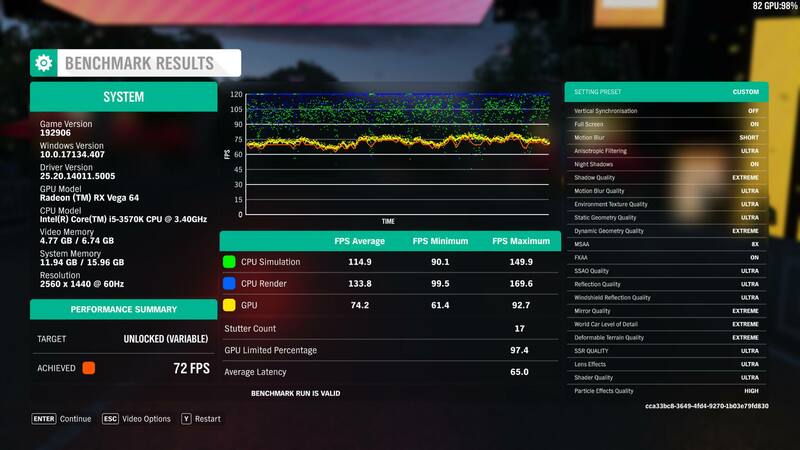 There is an RX580 on the board above your 970, they are normally close to a 1060. I think what has happened is the settings are filling up the 3gb VRAM on PiKe 1060 and holding it back. I have updated the scoreboard with your new run. This comparison shows the 1060 3gb on its back foot because it's missing 128 shaders in addition to the 3gb of memory. I can't see there being much difference between 2nd and 3rd gen i5. Got a new Benchmark to add. VEGA64 running 1556/1000 @ 1V. Using drivers 18.11.2. 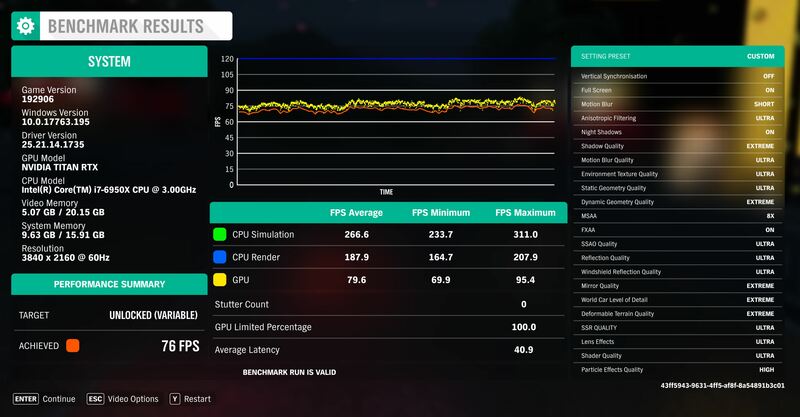 Looks like now with the high stutter count and the fact it's only 84% GPU limited. 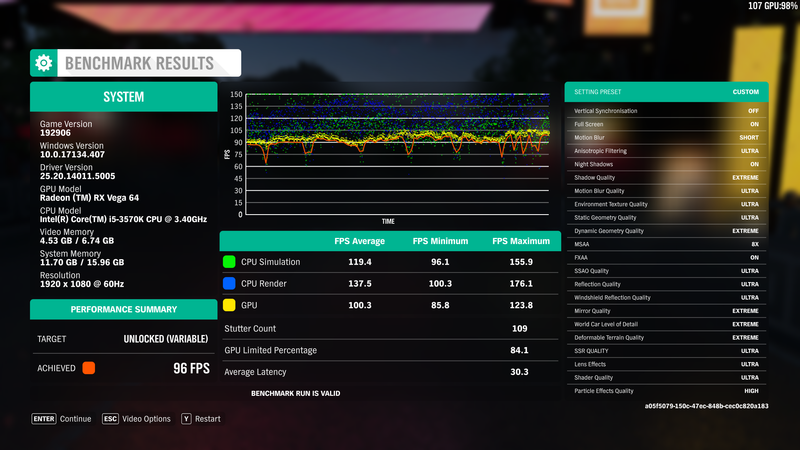 The 3570k can't do much more. Here's one for 1440p as well, same settings as above. Benchmark results with the GTX 1070 Ti instead of the GTX 970. Settings look good to me, I think..
PS - Only got the game yesterday not played it yet. Ill probs run with 4x msaa and fxaa on for the sake of it if its that easy to run if its not needed at 4k! Nice to see that my CPU is not hurting me really, dulls the itch to buy a 9900k when It doesnt look like it will make a difference for games.